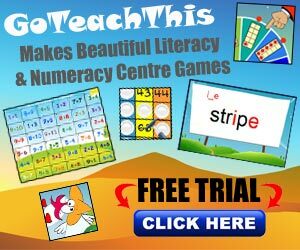 Summary: A fun reading game providing emergent readers with the opportunity to practise reading controlled R in a highly engaging way. 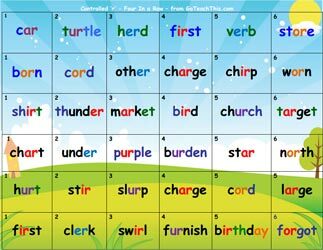 Feel free to print out this word game, play it and learn. Print boards and laminate. I print 1 game on each side - this makes it easy to revise and reinforce the previous list when children have moved on. Coloured counters for each player e.g. Player 1 = red Player 2 = green. 2. Read a word with the same number as the dice. 4. The winner is the one to have 4 in a row either vertically, horizontally or diagonally.